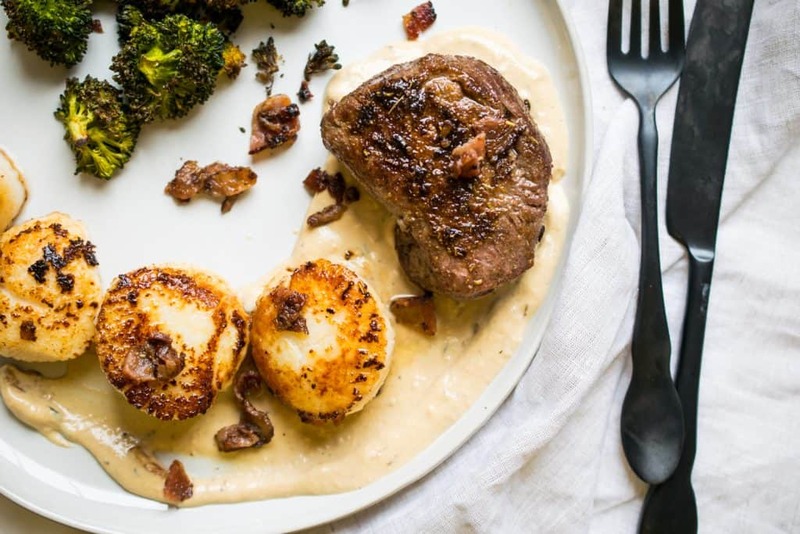 Surf and Turf is the quintessential date night meal. Paired with some bubbly and a red rose, you’ve got yourself one helluva romantic evening. Perhaps it’s the hefty price tag at restaurants or the fact that it’s so rich and delicious, I’m not sure. 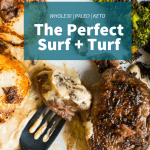 But one thing is certain, Surf and Turf is always a treat! Not to toot my own horn, but I WAS a RESTAURANT CHEF. So I do make restaurant worthy meals, and I make them so that you can make them in your home and they will be stellar too! An oldie but a goodie from the blog is THIS one, Braised Pork Chops over Cauliflower Cream with Sauteed Onions. 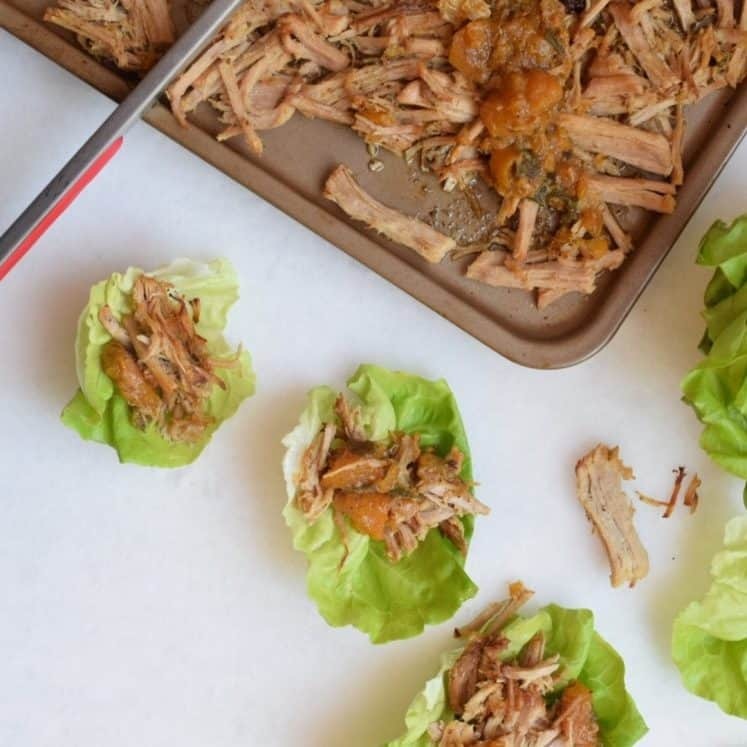 A great Valentine’s day or date night meal that checks all the boxes: paleo, keto, Whole30. However, nothing says I love you, babe, like filet mignon! 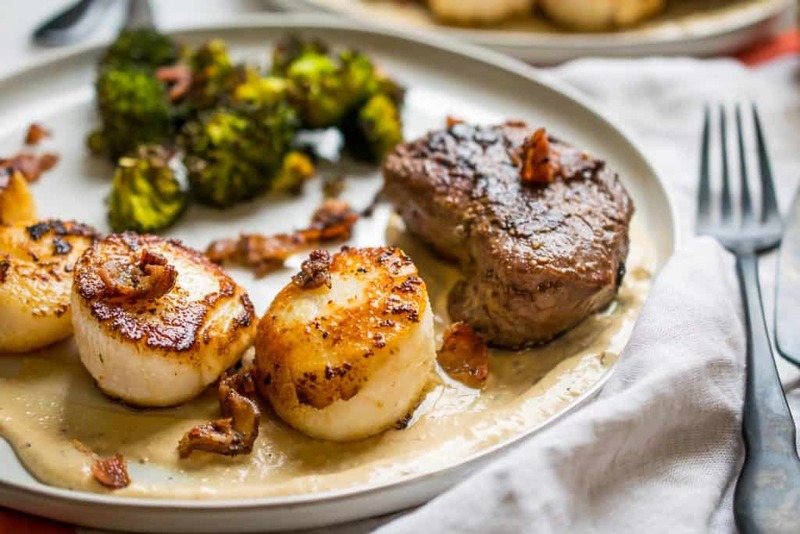 I get my filet mignon from Butcher Box and my scallops from my local grocery store. I always go for jumbo scallops, fresh. I’ve also seen them at Trader Joe’s! 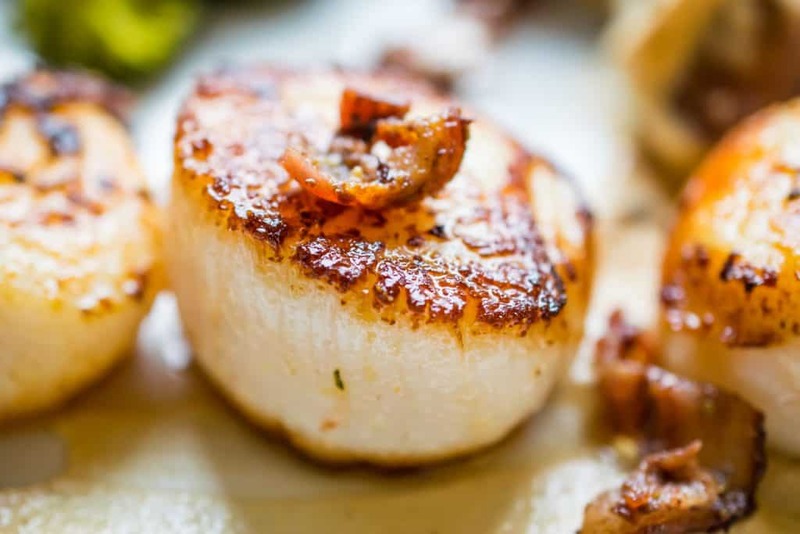 Minimum 2 scallops per person, 3 is ideal and 4 is just showing off! 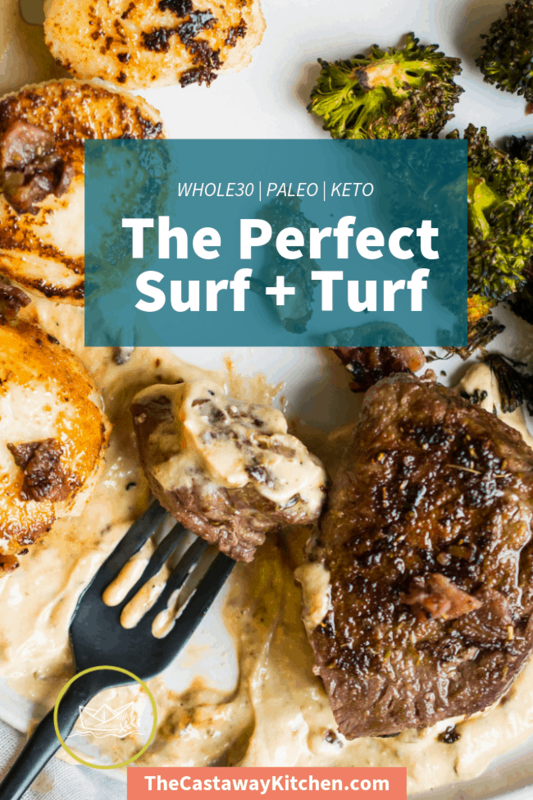 Yup, that’s all you need for this killer surf and turf, pretty much. 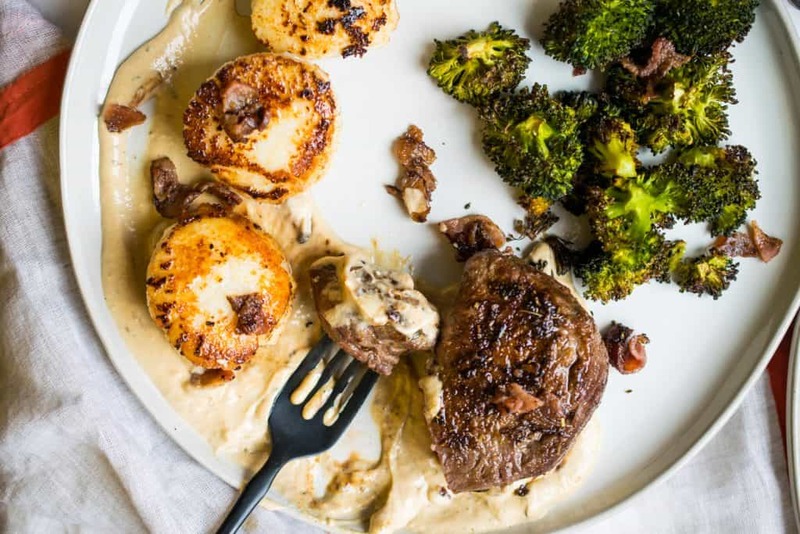 But pictured, I served it up with Best Crispy Roasted Broccoli and made the Creamy Garlic Sauce too, which you can get from this recipe. 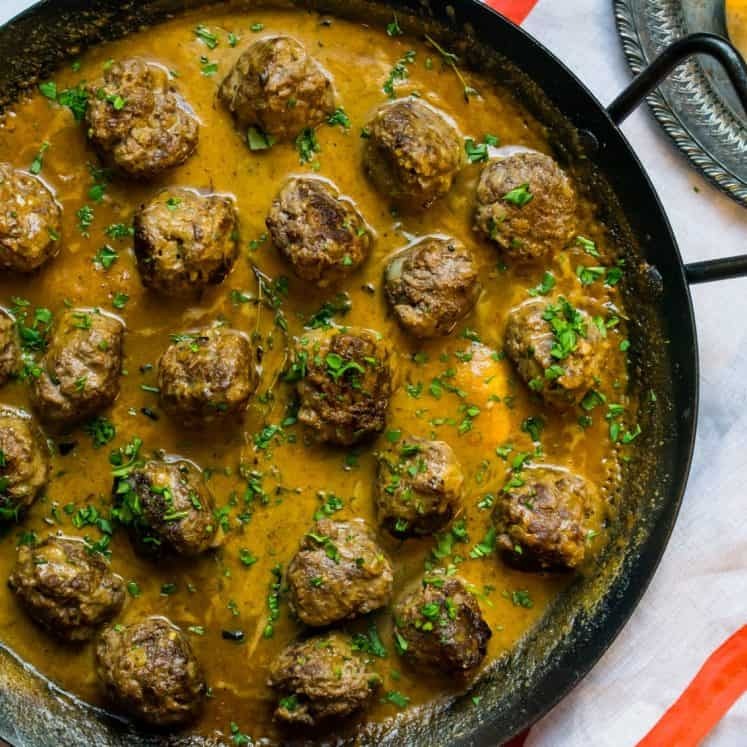 The best thing about that pan sauce is that it works with any protein! 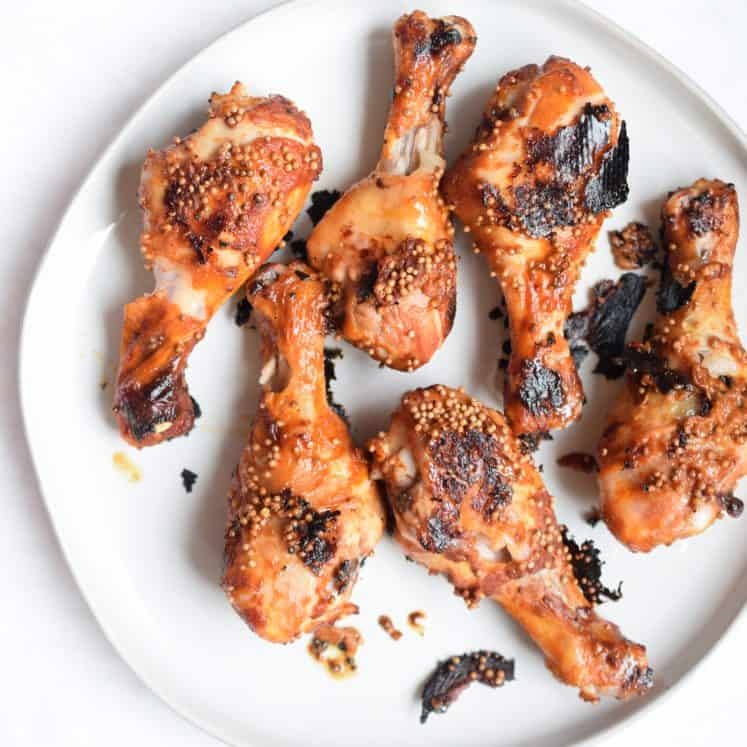 Anytime you have a yummy skillet where you seared protein, you can whip this sauce up and it’s going to be divine! 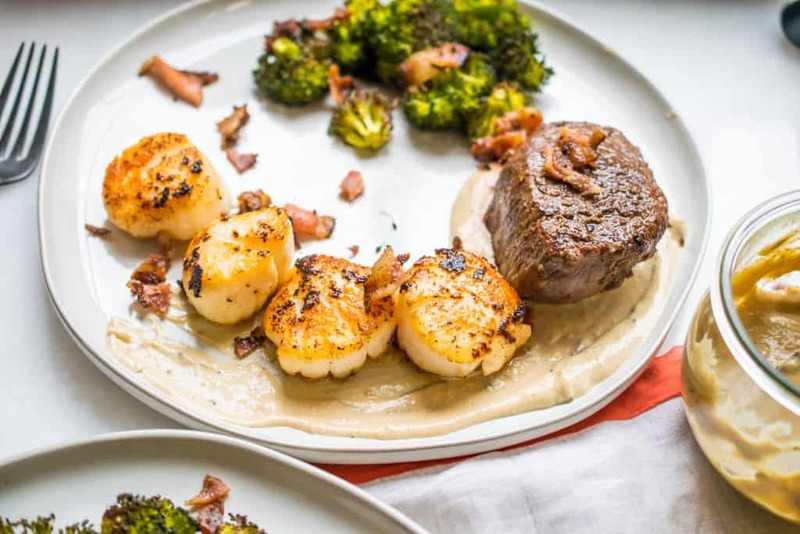 I made this surf and turf in my 12″ Ceramic Non-Stick Green Pan, you can win one in THIS POST. Giveaway closes Thursday. 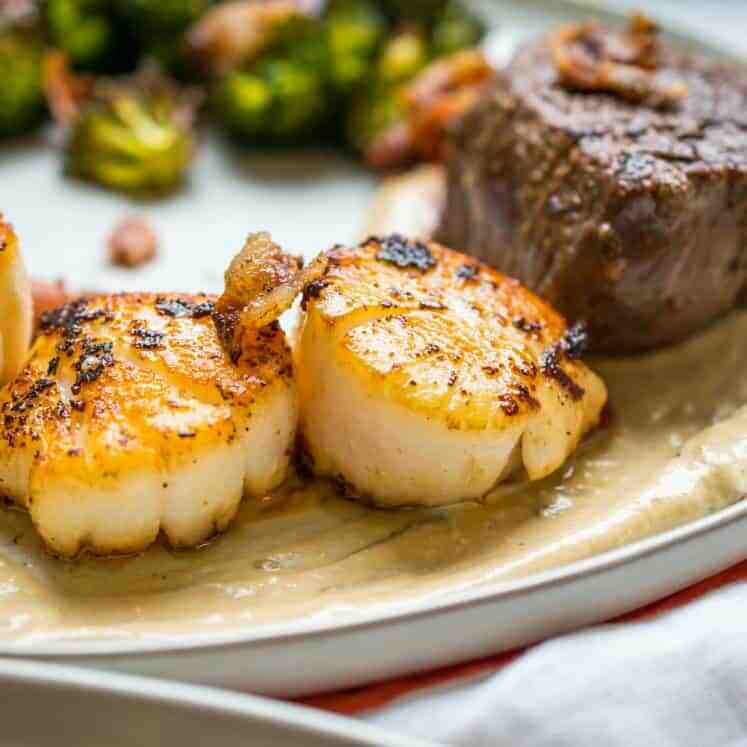 This surf and turf recipe will show you how to make the perfect seared scallops with a golden crust and soft inside, paired with a perfectly cooked, medium rare filet mignon. 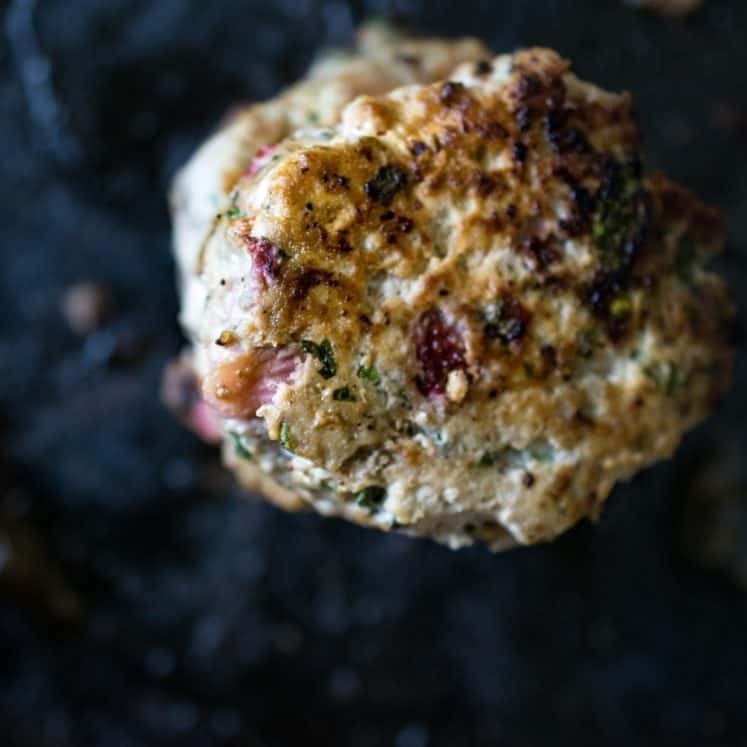 Follow me to the most romantic, perfectly prepared meal that only takes 20 minutes to make! I made this for dinner last night and my husband loved it!! He was beyond impressed. Thank you so much!! My scallops were not as big as yours and I should have cooked them less. Everything else came out beautifully.